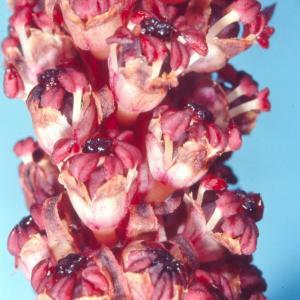 - The flowers of Allotropa are white but turn brown quickly. Each flower has give sepals, but no petals. That's why you see the reddish stamens so prominently here. The tips of the stamens point toward the center of the flower.